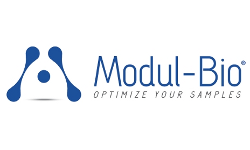 Modul-Bio develops software adapted to your activity to monitor your biological samples, integrate experimental findings and disseminate information to researchers. Our software is based on a modular architecture allowing a tailored solution for your laboratory. The MBioLIMS software contains a wide range of existing modules allowing the management of the entire life cycle of samples and their associated data, from end to end. Patient, tumor, PDX model and in vitro/ex vivo cell line database with genealogy of the samples and models. IMODI derived modules can integrate with our existing collection of modules to create a unique software for your activity.